When the Self-Published Authors Take Over, What Will Publishers Do? Reposted in part from: When the Self-Published Authors Take Over, What Will Publishers Do? In 2011, of the $14 billion trade publishing industry, roughly $100 million of it was self-published books, according to data presented at Digital Book World 2012. Less than 1%. A drop in the bucket. In 2013, the numbers should look quite different. In the first four months of the year, we’ve had four weeks where a self-published title was a No. 1 ebook best-seller. Last week, both the Nos. 1 and 2 spots were self-published ebooks. This week’s best-seller list brings fresh challenges to the dominance of traditional publishers. While David Baldacci’s The Hit (Hachette) retook the No. 1 spot from self-published author H.M. Ward, five of the top ten best-selling ebooks this week were self-published. For those of you who weren’t math majors, that’s half. Six of the top-25 best-selling ebooks were self-published: 24%. Perhaps the question is, are we in the “gradual” phase or the “sudden” phase in this transition? And what does this mean for publishers? – Offering their own self-publishing services (Simon & Schuster, Penguin, F+W Media [my employer], to name three). – Buying books by self-published authors that have already shown strong sales in an attempt to boost them to even higher sales (See Hugh Howey’sWool, Jennifer L. Armentrout’s Wait for You). – Offering new business models for authors (Random House’s new suite of imprints, including the controversial Hydra, show that publishers are still figuring this out). But when it comes to capturing these new revenue streams, it might be like trying to use a mop bucket to catch a breaking wave. See the rest of the top-25 ebook best-sellers this week. One other wrinkle in this precipitous rise of self-publishing is pricing. The average price of an ebook best-seller is lower now than it has ever been: $6.58. Part of the reason is that the six self-published titles on the list are each being sold for $0.99 or $3.99. If those six titles were taken off the list, the average would be about $8. Read more. This entry was posted in digital publishing, on demand publishing, self publishing and tagged ebooks, self-published books. 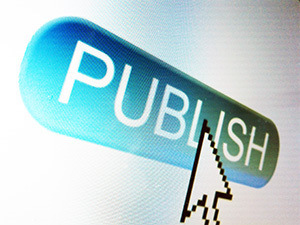 Self-Publishing Movement Continues Strong Growth in U.S.